Tis the season for Peppermint Cocoa, Pumpkin Pie, Sugar Cookies, and Indulgence! 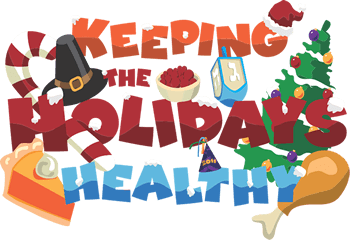 Holiday parties, colder weather, and shorter days make it incredibly difficult to stay committed to a healthy lifestyle… not to mention your ever-growing to-do list this time of year. Staying fit is harder, but doesn’t have to be impossible. We’ve put together some tips to help keep you on track. BE CREATIVE Opt for exercises that make activity fun and familiar. Explore a new fitness class or take a walk around the neighborhood and look at decorations. Think outside the box and you’ll come up with ways to spend time with family and prioritize your health. INDULGE FOR A NIGHT But just one night. Avoid binging on all those yummy leftovers. When the party is over, send doggy bags home with as many guests as you can, and then dump the junk! DRINK WITH MODERATION Don’t discount the all the calories in that eggnog! It’s easy to forget just how often we drink our daily calories, especially when the wine and juice mixers are so plentiful. SET A CHALLENGE If running in cold weather isn’t your thing, now might be the perfect time to try something new! Try a new bodyweight exercise, take up yoga… whatever you choose, make it fun and set a daily or weekly goal. ACT LIKE A KID Even if you’re not usually a fan of cold weather, who doesn’t love a good, old-fashioned snow ball fight? Sledding, ice skating, snowshoeing… there are plenty of ways to be active in the cold and still have fun! If you’re still finding it hard to stay fit and healthy over the holidays, your hormones may be to blame. Give us a call for your personal consultation. We’ll get you ready to start the new year with a new you! Autumn is upon us, and with that comes Pumpkin Pies, Apple Ciders, Halloween Candy, and Thanksgiving feasts. 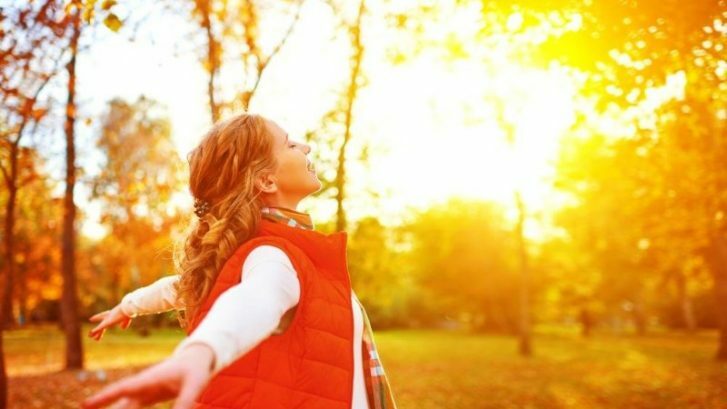 Staying healthy and active as the weather cools can be a bit more difficult so we’ve gathered some tips to help you stay fit as the days get shorter. •	Walk the Mall. Shopping Malls are a simple (and free!) way to get your steps in and be protected from the elements. •	Join a Health Club. If it’s in the budget, choose one close to home or work so you’re more likely to use it. Try to find a club that has classes or indoor teams like yoga. And if the club has an indoor pool, even better! Swimming is great for building stamina. •	Create a Home Gym. If health clubs aren’t for you, build one! Invest in some practical, easy to use equipment, and toss in some DVDs with instructors to show you some new moves. •	Don’t Forget Your Chores! Vacuuming, shoveling, laundry… they may not be exercises in the traditional sense, but they certainly keep you active and count toward being fit. Set goals, invest in weather-appropriate gear, and enlist some friends to help keep you accountable! Your body, and your mind, will thank you!